Special counsel Robert S. Mueller III and his staff are investigating the potential role that then-candidate Donald Trump’s presidential campaign had in the Russian interference in the 2016 U.S. election. The scope of Mueller’s probe continues to widen, and it now involves potential obstruction of justice by Trump and business dealings involving Trump and his children. Trump consistently calls allegations about Russian interference a “hoax,” “witch hunt” and “fake news” made up by his opponents. His White House continues to play down the allegations, now deflecting to efforts by a Ukrainian American operative to expose former Trump campaign chairman Paul Manafort’s ties to the Russian government. In response to questions about the Trump campaign’s contacts with Russia, the White House says the real story of coordination is between the Clinton campaign and Ukraine. While there are broad similarities between the two, there also are key distinctions that make this a facile comparison. In summer 2016, Democratic National Committee officials and independent security experts announced that Russian government hackers breached the DNC’s computer network. Hacked emails from DNC and other top Democratic operatives were released on WikiLeaks throughout the campaign. Later, U.S. intelligence agencies confirmed that the Russian government directed the breach of U.S. political organizations to help Trump win and hurt Hillary Clinton. The intelligence community concluded that it was a top-down effort ordered by Russian President Vladimir Putin to undermine faith in the U.S. democratic process. Here’s what we know about the Ukraine story. In January, Politico revealed that Ukrainian officials helped research connections between Manafort and Russia — particularly Manafort’s role in the rise of former Ukrainian president Viktor Yanukovych, who had ties to Moscow. A Ukrainian American Democratic operative named Alexandra Chalupa began looking into Manafort’s ties to Yanukovych as a part of her volunteer work in 2014, Politico reported. Chalupa was hired as a consultant to the DNC during the 2016 campaign to help mobilize ethnic communities, including Ukrainian Americans. She left the DNC in July 2016, the DNC said. She continued her research into Manafort on her own, and she said she sometimes shared her findings with officials at the DNC and Clinton’s campaign, Politico reported. Former Clinton campaign officials said they never received information from Chalupa. The exact role of embassy officials is unclear. Chalupa told Politico that officials at the Ukrainian Embassy were helpful in providing guidance to her questions, and that the embassy also worked with reporters researching Trump, Manafort and Russia. A top embassy official denied working with reporters or with Chalupa on issues related to Trump or Manafort, but a former embassy officer said he was instructed to help Chalupa on her research. DNC officials denied that they coordinated with Chalupa on opposition research. Chalupa was not a researcher for the DNC, and the DNC did not incorporate her findings about Manafort, Politico reported. DNC officials told Politico that the Democratic Party had been looking into Trump and his ties to Russia long before Chalupa alerted them. What actually ended up hurting the Trump campaign was information released through an anti-corruption investigation by a Ukrainian government agency, which released ledgers that reportedly showed $12.7 million in cash payments from Yanukovych’s party that were earmarked for Manafort. Serhiy Leshchenko, a Ukrainian lawmaker and former investigative journalist, publicized these ledgers and criticized Manafort. Ultimately, reports about these payments led to Manafort stepping down from his position as Trump campaign chairman. But when you dig into the details, the comparison falls apart. Of course, one fundamental difference is that Ukraine is considered a U.S. ally and Russia is considered an adversary. A key distinction is that in the Russia case, U.S. intelligence officials found a top-down effort, initiated by Putin, to illegally hack and release information in a deliberate attempt to meddle in the U.S. election and undermine the democratic system. There is no such evidence of a top-down effort in the Ukrainian case. Chalupa may have worked with some embassy officials, but there’s no evidence that the DNC used information gathered by Chalupa or that the Ukrainians coordinated opposition research with the DNC. Further, the manner in which the damaging information was obtained is different. U.S. intelligence agencies found that Putin ordered the Russian hackers who breached U.S. political organizations. In contrast, Chalupa researched Manfort on her own and without the direction of the DNC. The ledgers were public documents that were released as a part of an anti-corruption investigation by the Ukrainian government — not illegally obtained. 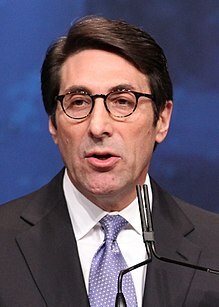 Sekulow says the Clinton campaign and Ukrainians shared information, but this is unsupported. Clinton’s former campaign manager, Robby Mook, told CNN that foreign agents did not reach out to the campaign about opposition research. There is no evidence that the Clinton campaign had contacts with the Ukrainian government. Meanwhile, we have documented evidence that Trump’s son, son-in-law and former campaign chairman met with a Russian lawyer in an attempt to receive opposition research that they were told was from the Russian government. “The White House has been pushing this narrative to distract from the Trump campaign’s willingness to work with a hostile foreign government to interfere in our election. No one is buying it,” said DNC spokeswoman Adrienne Watson. The White House did not provide an explanation of this comparison in response to our request. The Trump camp’s role in the Russian interference in the U.S. election is still under investigation. We don’t have all the details about Ukrainian ties to Chalupa or the DNC, either. What we do know so far is that there are key differences in the two situations, and it’s clearly a facile comparison so far. We will not rate this comparison for now because there are too many missing details, but we will update this fact check if new information emerges. "So if you’re looking for an example of a campaign coordinating with a foreign country or a foreign source, look no further than the DNC, who actually coordinated opposition research with the Ukrainian Embassy." interview on CNN’s “State of the Union"